There seems to be a set sequence to life, not only in Nigeria or Africa but all over the world. A child should go to school or get an education, get a job, get married and then have children. Preferably in that order. Almost every parent pray for their children to follow this order and society frowns at those whose lives seem not to be following this order. As a matter of fact, society alienates, cast aspersions on or even out rightly rejects those who choose to abandon one or more of these steps. Recently there have been an increase in the number of people who are choosing either not to marry or to have kids. Some of these choices are made solely for selfish reasons but I tend to agree with them. 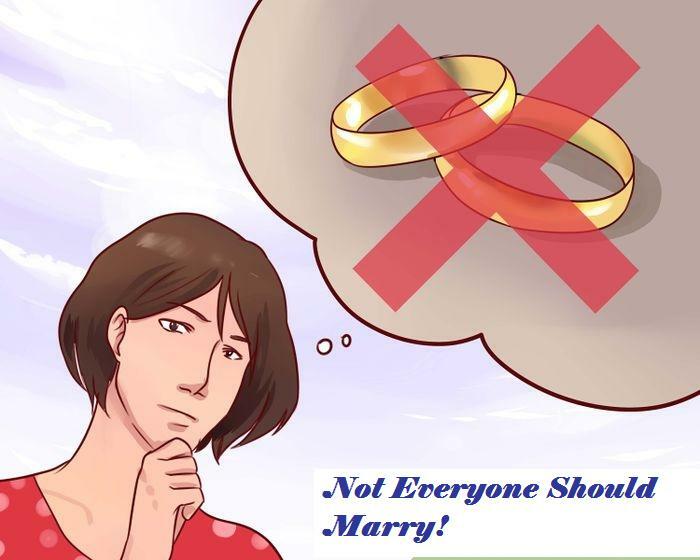 Not everyone should marry or have children! The truth is we often believe once a person gets to a certain age, he or she must marry, as though it’s the age that qualifies a person to marry. While age can be a major contributor to maturity, it is definitely not synonymous. What marriage needs is maturity. Maturity enables you to understand what a marriage is, your role in it and to fulfill it. I’m almost tempted to say responsibility is the hallmark of maturity. Maturity influences the ability to commit to another person and keep long term commitments. Maturity enables you to accept responsibility and to forgive. Maturity enables proper emotional intelligence and self control; it enables you to make sound decisions. Maturity enables you to even prioritize others before yourself when necessary. Maturity makes you open, teachable and allows you see yourself as fallible. 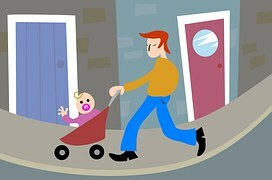 To be good spouse or a parent, the per-requisite should therefore be Maturity and not age. This is why not everyone should marry or have children. There are many adults who not willing to be mature, they love their immaturity. They cannot nor are they willing to learn to care for someone else or give themselves to someone else. Their life revolves around them only. They want to go clubbing forever, have a string of boy/girlfriends. They are willing to marry to fulfill societal pressures yet unwilling to take on the responsibility that comes along with it. Most often they become horrible spouses and parents. As a society we need to stop pressurizing people to get married just because they have reached a certain age. We should emphasize maturity and willingness to take on the responsibilities that come with marriage rather than the ceremony for the purposes of social conformity. Maybe if we do this, we will reduce the level of divorce, adultery and child abuse in our society. So stop pushing people to marry because it’s not everyone that should marry! The article really isn't promoting not marrying or staying single forever but emphasizing that people shouldn't be pressurized into getting married simply because they have attained a certain age. Marriage and parenting comes with some responsibilities and those who are unwilling to take up those responsibilities have no business marrying or having children. 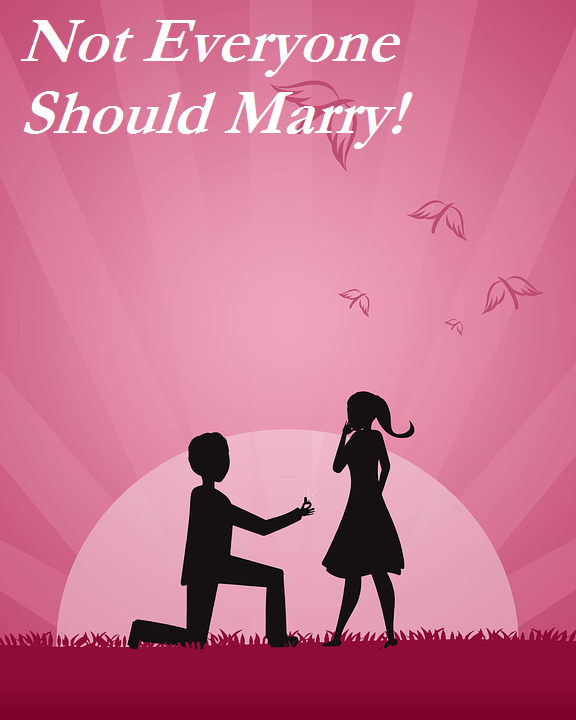 How to Fight Fair in Marriage!